Do you want to learn more about the negative effects of homeschooling? Here's a video outlining the pros and cons of homeschooling, along with links to articles that provide more detailed information about the negative aspects of home education. Against Homeschooling - Homeschool families often face criticism from friends and family members who are against home education. This article examines the challenges parents face when homeschooling without adequate support. An Argument Against Homeschooling - Some individuals believe homeschoolers are unqualified to teach their children. This article examines issues surrounding lack of teacher training and certification. Anti Homeschooling - Parents aren't always on the same page when it comes to education. This article details the problems that may arise when one parent is anti-homeschooling. Bad Things About Homeschooling - Many individuals who are unfamiliar with home education have heard bad things about homeschooling. Here is some information that will help you separate fact from fiction when it comes to learning at home. Cons of Homeschooling, Part 1 - A Parent's Perspective - Home education can be mentally, emotionally and financially challenging for parents. Here's a look at the disadvantages of home education from a parent's perspective. Cons of Homeschooling, Part 2 - A Student's Perspective - Conflict between the desires of parents and their children is one of the negative effects of homeschooling. Here's a look at the challenges that come with teaching a reluctant student. Disadvantages of Homeschooling - Home education has several practical and economic disadvantages. Here's a look at some of the challenges parents face when teaching their children at home. Homeschooling Pros and Cons - Families must realistically evaluate the pros and cons of homeschooling before deciding to homeschool. This chart outlines some of the major advantages and disadvantages of home education. Reasons Why Homeschooling is Bad - Although I believe most parents can effectively teach their children, there are some circumstances under which homeschooling can be a challenge. 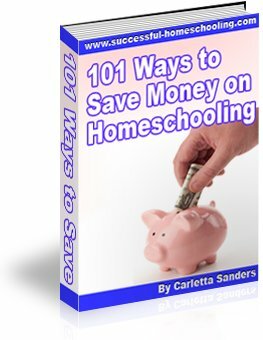 This article discusses situations that can lead to problems with homeschooling. Social Disadvantages of Homeschooling - One of the most popular criticisms of homeschooling is that homeschoolers won't learn proper social skills. This article examines the issues surrounding homeschool socialization.